Walking north on Elgin. Image: City of Ottawa Archives, Item CA033357, June 26, 1955. 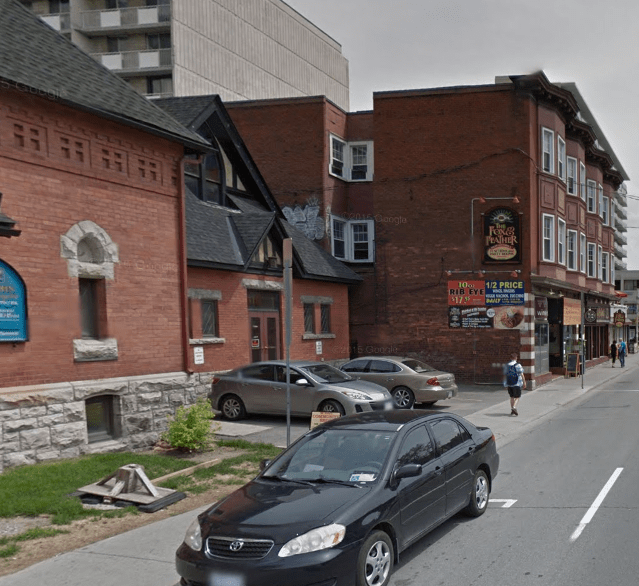 When I wrote about the Rainbow Restaurants on Queen and Elgin last, I did not have an image of the one on Elgin. Thanks to the Archives of Ottawa, I do. Minus the sign, the car, and the sisters, the scene should be familiar today. Admittedly, I live 40 feet from here and could have taken a fresh shot. Image: Google Maps (May 2015). 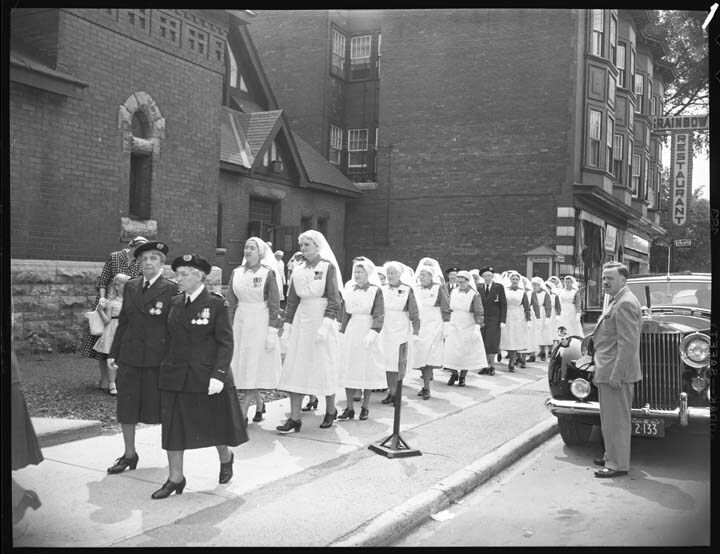 If you’re keen to know, the archival image above depicts a scene from the annual St. John Ambulance church parade. That year 215 members attended morning service at St. John’s Anglican (now St. John the Evangelist) Church and mass at St. Jean Baptiste Roman Catholic. At St. John’s, the sermon was given by the Reverend Terence J. Finlay on the theme of the organization’s service in times of peace and in times of war. The parade was held annually on the Sunday closest to the Nativity of St. John, on June 24.1”St. John Ambulance Holds Church Parade,” Ottawa Citizen, June 27, 1955, p.3; “St. John Ambulance Holds Church Parades,” Ottawa Journal, June 27, 1955, p. 18. The Citizen went with a different shot in print. Source: Ottawa Citizen, June 27, 1955, p. 3. 1. ↥ ”St. 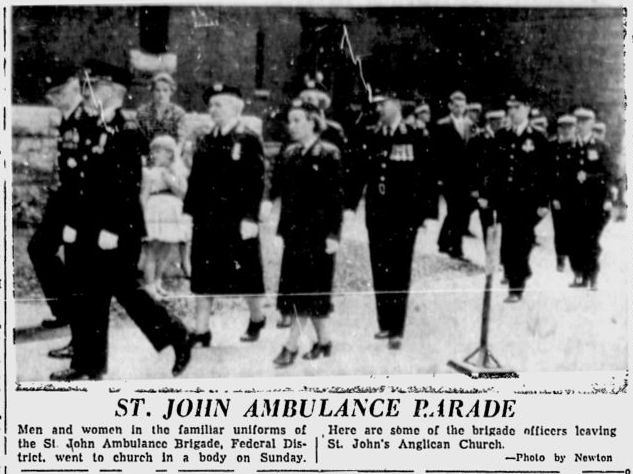 John Ambulance Holds Church Parade,” Ottawa Citizen, June 27, 1955, p.3; “St. John Ambulance Holds Church Parades,” Ottawa Journal, June 27, 1955, p. 18.